To recap, in Part 1, I gave an explanation for how Matthew 25:46 and “eternal punishment” is consistent with annihilationism. Here in Part 2, I will show why some of the rebuttals to what I put forth in Part 1 are insufficient to show that Matthew 25:46 proves eternal torment. I will also address an alternative conditionalist interpretation, one that I don’t hold but that is stronger than traditionalists usually give it credit for. NOTE: One might see the traditionalist rebuttals below and find them lacking. I am not trying to knock down strawman arguments or anything like that. Simply put, despite having read far more about hell than your typical Bible student, I haven’t really come across anything better. That may sound harsh, but it is what it is. In a lot of traditionalist works, there isn’t anything put forth that my arguments in Part 1 do not already address (e.g. the traditionalist argument that “eternal” means eternal, which I already grant). A few have gone more in-depth, and that is what I am addressing below.1To be fair, this lack of stronger responses isn’t totally the fault of past traditionalist writers; before the internet, there was not a lot of published conditionalist literature that was easy to find that would have refuted these ineffective arguments. Nevertheless, knowing this will help explain why I am not rebutting stronger, better arguments that are not directly or indirectly dealt with by the material in Part 1. In Part 1, I gave several examples where nouns of action are qualified as eternal (just like “eternal punishment”), examples where what is eternal is the result of the act, not the perpetuation of the act itself. But one may ask, how common of a phenomenon is this? Are my examples a small handful out of hundreds? Or, are most or all of such instances like those in Part 1? Truth be told, playing it by the numbers is complicated. For starters, some passages are ambiguous or disputed. 2 Thessalonians 1:9, commonly cited as evidence for traditionalism, speaks of “eternal destruction.” Is God continually in the act of destroying the unsaved without ever actually completing the process? It depends upon who you ask. More at the lay level than the scholarly level, some will argue that it is speaking of an eternally ongoing act. At the scholarly level, this is less often the case. 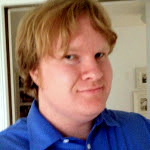 Douglas Moo, while advocating traditionalism in the book Hell under Fire, concedes that eternal nouns of action can refer to the result being what is eternal, and even cites 4 of my 5 examples from Part 1 as instances where this occurs2Douglas Moo. 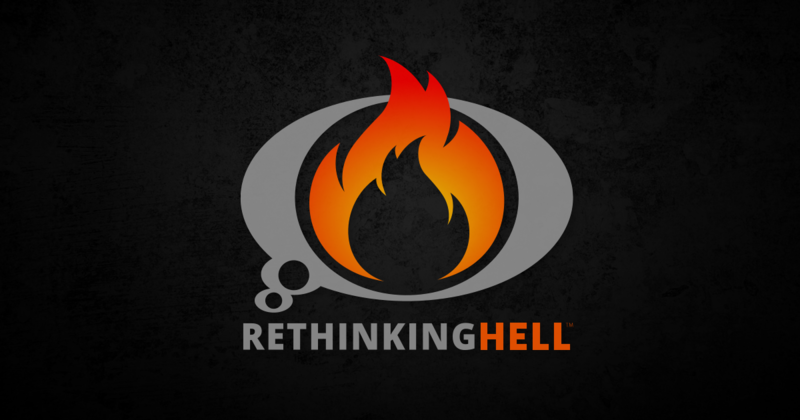 “Paul on Hell.” Hell under Fire: Modern Scholarship Reinvents Eternal Punishment. (Zondervan, 2004), 106. Nevertheless, this is still a passage in dispute. Another such passage is 2 Thessalonians 2:16, which speaks of God giving us “eternal comfort.” The question arises as to whether it is speaking of God continually comforting us (because God is really awesome like that), or whether we are given comfort, i.e. we are comforted at one time, and the result, the comfort, lasts for eternity. This passage could go either way. Matthew 25:46 itself is a disputed passage. So far, all examples have either spoken of results, or are disputed/ambiguous. That weighs in my favor. However, there is one other noun of action in the Bible that is qualified as eternal: “eternal life.” If one grants that “life” in eternal life is speaking of the verb of living, then this would be a counter example. But how much weight should it be given? Since “eternal life” is used many times in the Bible, far more than my examples, should it be treated as many counter-examples? Or, is it but one counterexample? After all, eternal life may be used many times, but it is a single phrase that means essentially the same thing every time it is used. Because of this issue with “eternal life,” any argument that appeals to the numbers will have problems. However, it cannot be denied that my argument is consistent with biblical language, no matter what one’s reckoning of the numbers. In Part 1, I referenced the appeal to the fact that “eternal punishment” and “eternal life” appear together in the same sentence. As noted previously, it should be apparent why the parallelism is largely irrelevant to my arguments (and to those who have argued similarly, e.g. Edward Fudge3Edward Fudge. The Fire that Consumes: A Biblical and Historical Study of the Doctrine of Final Punishment, 3rd ed. (Wipf & Stock, 2011), 38-39. However, for some, it is still not enough that “eternal” mean the same thing in “eternal life and “eternal punishment.” Some will argue that, since eternal life is an ongoing process (insofar as the saved live forever), eternal punishment must likewise be an ongoing process of punishment being inflicted. Robert Peterson at least alludes to this argument (though it is in the context of another argument)4Robert Peterson. “A Traditionalist Response to Conditionalism.” Two Views of Hell: A Biblical & Theological Dialogue (IVC Academic, 2000), 97. After all, “eternal punishment” and “eternal life” show up together, and both are eternal, so it is reasoned that they must not only both be everlasting, but they must share other similarities, such as being an act that continues for eternity. What of this argument? Does the fact that those with “eternal life” live forever mean that we should assume “eternal punishment” means eternal punishing? More than anything else, this argument fails simply because it makes too much of the seeming parallelism. What they have in common is the qualification of “eternal,” and I am already granting that both times it means the same thing. To say that these phrases have to also be the same in every other way is just a bald assumption, the kind that good theologians don’t typically make, except, so it seems, when dealing with the issue of hell. Between “eternal punishment” and “eternal life,” there are also noteworthy differences. For example, the two phrases are not grammatically the same. All of the examples of eternal nouns of action that I point to above are based on transitive verbs (acts that a subject does to an object). The verb “punish” is no exception (one person punishes another). In no instance in the Bible does a noun of action from a transitive verb, when qualified as “eternal,” necessarily refer to the ongoing act. The verb “live,” however, is an intransitive verb (you live; you can’t live somebody). If “life” and “punishment” are not grammatically the same, so why would we assume that they must work out exactly the same? There is also a sense in which “life” is not actually the act of living, but rather a thing (“life” is a noun) that is both the cause and the result of living,5Joseph Dear. The Bible Teaches Annihilationism (n.d.), Section XVI, Subsection D, found at 3-Ring Binder, n.d., http://3-ringbinder.weebly.com/uploads/1/9/1/0/1910989/the_bible_teaches_annihilationism.pdf (accessed on December 1, 2013). although that is probably going into more detail than is necessary here. The point is, the only things that “eternal life” and “eternal punishment” share is their duration, since they are both “eternal,”6Technically, it doesn’t have to be the case that aiónios means the same thing in both cases; language is simply not that rigid. However, I believe that it probably does have the same meaning in both phrases, and it is simply easier in this case to agree with the traditionalist and show how it doesn’t matter than it is to speculate about how “eternal” could have a different meaning in each phrase. and that duration does nothing to refute annihilationism. Beyond the duration (which I grant is the same in both cases), there isn’t really much to go on. At least insofar as I have read, the argument just simply is assumption, assumption that since they are mentioned together, they form a parallelism that means both must not only be everlasting but also everlasting in the same way. So, all I can really say is that mere assumptions cannot disprove annihilationism. There’s no reason why they must be parallel in such a way that proves that “punishment” is meant as an eternally ongoing process. In Erasing Hell, Francis Chan and Preston Sprinkle argue that words in Greek that have a -sis ending when transliterated imply an eternal process and not a result.7Francis Chan and Preston Sprinkle. Erasing Hell: What God Said about Eternity, and the Things We Made Up (David C. Cook, 2011), 93-94. Since the Greek word for punishment in Matthew 25:46 is kolasis, this could be quite relevant to the matter at hand. Now, I want to point out that, despite advocating what I consider a false view, Erasing Hell is relatively well-researched and even-handed. And I said this about the book even before Preston Sprinkle appeared on our podcast (Episodes 5 and 6) and subsequently came to adopt our view. Having even made this argument at all shows that Chan and Sprinkle had a better understanding of our view than many other books on the subject. Also, for all I know, they might not even hold to it anymore (Sprinkle did change his mind on the overall issue, after all). That said, since some may read the argument and be sympathetic to it, I will explain why it does not do much to refute conditionalism. There are not many occurrences of eternal nouns of action that have the -sis ending8I am simplifying here, as Chan and Sprinkle did. In Matthew 25:46, the word used is actually transliterated as kolasin; it is the same word as kolasis, just spelled differently for grammatical reason, like how we turn the verb “write” to “writes” when we go from “I write” to “she writes.” The actual meaning stays the same. There are only two. The first is 2 Thessalonians 2:16. They cite it as an example of an ongoing act. I explained above how it really is ambiguous, since comfort may last after the act of comforting has ended. Even if we grant that they are right about 2 Thessalonians 2:16, however, the second example undermines the thesis. The second instance is Hebrews 9:12, “eternal redemption.” The word for “redemption” is the Greek lutrosis, which has the same -sis ending9In the actual passage, it ends in -sin (when transliterated), like how kolasis is in the form of kolasin in Matthew 25:46. Yet no one is arguing that Jesus would be continually redeeming us. It was a one-time, accomplished act, which bought for us the result of redemption, a result that lasts for eternity. Therefore, at most, the -sis ending indicates a process in 50% of these instances. This could potentially lend a small amount of weight to the idea of “eternal punishment” being a process, but not enough to make it even the probable meaning. In Part 1, I gave 5 examples of passages where nouns of action are qualified as “eternal,” and yet, despite the fact that they read just like “eternal punishment,” what was in view was not the act, but the result. Of the 5, one was challenged by Robert Peterson in the book Two Views of Hell. Peterson argued that Hebrews 5:9, which spoke of “eternal salvation,” was not an instance of eternal results. He appeals to Hebrews 7:25, which, in Peterson’s translation, reads as follows: “Because Jesus lives forever, he has a permanent priesthood. Therefore, he is able to save completely those who come to God through him, because he always lives to intercede for them.”10Peterson, 97 However, two major issues arise. Peterson’s reasoning seems to be that since Jesus “always” lives to intercede for the save, he therefore will be doing so “always,” even throughout eternity. But always doesn’t necessarily mean “for ever and ever.” People say “always” all the time in all sorts of contexts. The Greek pantote is likewise used in many contexts where it is not speaking of eternal duration (e.g. Matthew 26:11, Luke 15:27, Colossians 4:12). Peterson reads far too much into this passage. A small handful of translations, such as the NASB, actually say “forever” where the above says “completely.” That sounds more like Peterson’s view, but in light of my next point, as well as the lack of anything in the Greek that actually indicates duration, it is likely that even these few translations meant it in the sense of completion (like how one might say “I have been saved forever because of what Jesus did and what he will continue to do until I am glorified”). The biggest problem with Peterson’s interpretation is what it requires to be true of the eternal state. He is saying that for ever and ever, Jesus will be in the act of saving us. But why would Jesus need to keep saving us in the next world? Jesus continually interceding right now makes sense; though we are to aim to never sin ever, sometimes believers still sin. Jesus Christ is our advocate before the Father (1 John 2:1). But there will be no sin in the world to come! Peterson’s view means that Jesus needs to keep interceding for us, as a priest does. But there is no need for a priest when there is no sin. Peterson’s view would require an eternal state where there is something we need to be saved from. But that surely isn’t the case when we are glorified and made like Jesus Christ himself! With this in mind, it is all the more likely that completion, not the ever-continuing act, is what is in view. Because of what Jesus did, and because of what He will continue to do for a time, we are saved for ever and ever. And even if Peterson were right, this would only refute one example. The rest would still stand on their own. There is an alternative view, that the Greek word aiónios, which is translated as “eternal,” does not actually mean “eternal” in the verse in question. It is true that the term does have nuance and other uses besides speaking of eternal duration. Given the fact that annihilationism fits even if the “eternal” in “eternal punishment” means something that lasts for ever and ever, this isn’t a big point. However, I will draw attention to the flawed logic and reasoning that is often employed against it. When not referring to something lasting for ever and ever, the term aiónios has divine connotations. According to Edward Fudge, aiónios “sometimes suggests ‘quality of being,’ almost meaning ‘divine’ rather than enduring.”11Fudge, 36.12Fudge also makes the same main argument I do in Part 1, that annihilation can be considered eternal punishment in any sense – Fudge, 38-39. So let’s think of it in terms of being divine. What if Jesus was saying that the punishment is not everlasting, but rather, divine in nature? The argument against this is often along the lines of “if punishment isn’t eternal, then neither is life!” The underlying assumption is that aiónios means the same thing in both “eternal life” and “eternal punishment.” Let us assume, for our purposes here, that this the case. Even then, the above traditionalist rebuttal is true to an extent, but it fails to make the point that it attempts to. Against certain arguments, the rebuttal may have some weight, such as when it is used against the argument that the aiónios in “eternal punishment” just generically refers to a long time.13The argument that aiónios means a long time but not eternity stems from the root of the word, aión, which roughly means “age.” The problem is that this response about eternal life not being everlasting is thought to be the magic bullet, the be-all-end-all against all views other than eternal torment. But aside from the fact that the main view I have put forth grants that “eternal” means eternal/everlasting in both “eternal punishment” and “eternal life,” this seeming magic bullet is also misapplied to the alternative argument I have given, that aiónios is meant in the sense of divine or other-worldly. If aiónios is meant to say that the punishment (and subsequently, life) is divine in origin, that it has the quality of the age to come, then the argument that “eternal life wouldn’t be eternal” is meaningless. This is because this verse wouldn’t be talking about duration in the first place. Jesus would only be speaking about the quality and origin of the punishment and life. True, life would not be said to be everlasting in this particular verse, but all that it would mean was that in this particular verse, Jesus wasn’t saying that it lasts for eternity. That’s not the same as denying that the life of the saved is everlasting. In this one instance, Jesus would simply be speaking of the quality of both, and not the duration at all. Not saying that life lasts for eternity is not the same as saying that life does not last for eternity. This morning, I made no mention of the earth being round. That doesn’t mean that I deny that the earth is round! It just never came up today in my conversations with others. Again, I don’t hold to the view that in this verse “eternal” means something other than what we normally think it means. I find my main argument much more likely for reasons largely unrelated to final punishment. Nevertheless, it was worth bringing up, if for no other reason than to emphasize that even this, which I consider an inferior annihilationist argument, is not refuted by the standard objection that denying the eternality of “eternal punishment” also denies the eternality of our life in Christ. 1. ￪ To be fair, this lack of stronger responses isn’t totally the fault of past traditionalist writers; before the internet, there was not a lot of published conditionalist literature that was easy to find that would have refuted these ineffective arguments. Nevertheless, knowing this will help explain why I am not rebutting stronger, better arguments that are not directly or indirectly dealt with by the material in Part 1. 2. ￪ Douglas Moo. “Paul on Hell.” Hell under Fire: Modern Scholarship Reinvents Eternal Punishment. (Zondervan, 2004), 106. 5. ￪ Joseph Dear. The Bible Teaches Annihilationism (n.d.), Section XVI, Subsection D, found at 3-Ring Binder, n.d., http://3-ringbinder.weebly.com/uploads/1/9/1/0/1910989/the_bible_teaches_annihilationism.pdf (accessed on December 1, 2013). 6. ￪ Technically, it doesn’t have to be the case that aiónios means the same thing in both cases; language is simply not that rigid. However, I believe that it probably does have the same meaning in both phrases, and it is simply easier in this case to agree with the traditionalist and show how it doesn’t matter than it is to speculate about how “eternal” could have a different meaning in each phrase. 7. ￪ Francis Chan and Preston Sprinkle. Erasing Hell: What God Said about Eternity, and the Things We Made Up (David C. Cook, 2011), 93-94. 8. ￪ I am simplifying here, as Chan and Sprinkle did. In Matthew 25:46, the word used is actually transliterated as kolasin; it is the same word as kolasis, just spelled differently for grammatical reason, like how we turn the verb “write” to “writes” when we go from “I write” to “she writes.” The actual meaning stays the same. 9. ￪ In the actual passage, it ends in -sin (when transliterated), like how kolasis is in the form of kolasin in Matthew 25:46. 12. ￪ Fudge also makes the same main argument I do in Part 1, that annihilation can be considered eternal punishment in any sense – Fudge, 38-39.